MAY 25--Meet Dorothy Densmore. 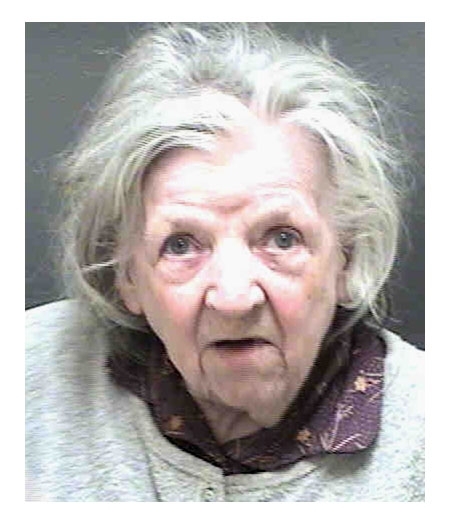 The 86-year-old North Carolina woman was locked up in the Mecklenburg County jail for two days in connection with a bizarre pizza delivery incident. 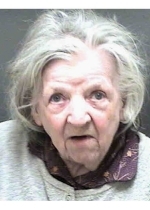 According to a Charlotte-Mecklenburg Police Department report, the octogenarian called 911 over 20 times in less than a half hour on Sunday. A police spokeswoman told TSG that Densmore's emergency was that a pizza place refused to deliver a single slice to her Charlotte apartment, and as if that wasn't upsetting enough, she wanted the person who answered the phone at the pizza joint arrested for calling her a "crazy old coot."